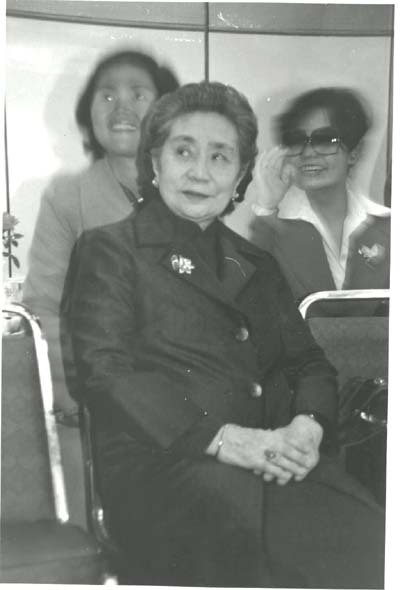 Mrs. Chang (Grandmasters wife), is in the front. In the rear left, is Mrs Lee, Grandmasters top female disciple; rear right side is FuLin Wang, Grandmaster's wife. Late 1980's.